The Medication Assistant is an 8-week program with a total of 100 hours. This program provides basic background information and routine procedures that are essential for the safe administration of selected medications by experienced nursing assistants in a long term care facility. The content includes: Basic principles of medication administration, Simple calculations, and Categories of medications. 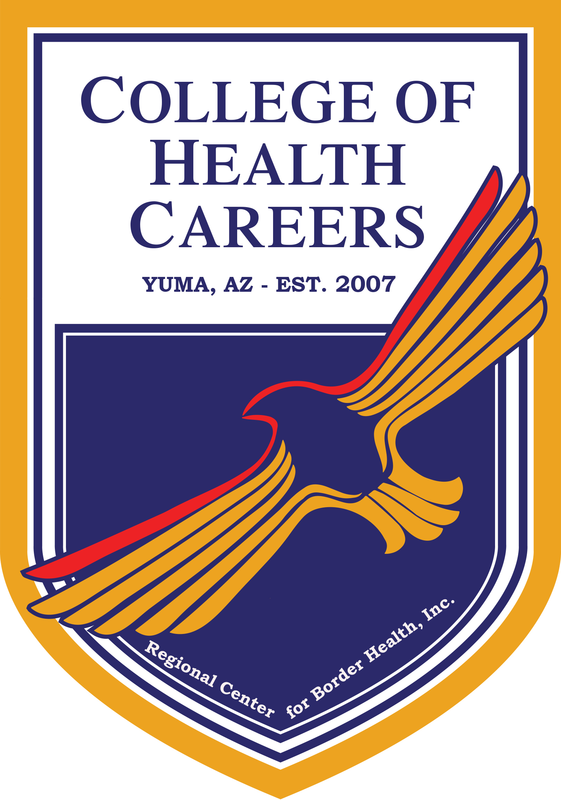 This program is licensed by the Arizona State Board of Nursing. All interested participants must submit a completed admission application, a copy of his or her high school diploma, GED or official transcripts from a U.S college or U.S military credits or 12 years of education in a foreign country. If student received his or her education in a non-English speaking country, a score of 75% on the IBT (Internet-based TOEFL) or 6.5 overall and 7.0 on the speaking portion of the international English language Test Service Academic Examination (IELTS) must be obtained. Demonstrate Citizenship/Nationality/Alien Status documentation: Federal law, 8 U.S.C. § 1641, and State law, A.R.S. § 1-501, require documentation of citizenship or nationality for certification. If the documentation does not demonstrate that the applicant is a United States citizen, national, or a person described in specific categories, the applicant will not be eligible for certification in Arizona. All applicants must submit documentation regarding their citizenship/ nationality/alien status with their application. Score 8.0 on the Test for Adult Basic Education (TABE); meet the 8th grade level of reading, mathematics and language aptitude. Applicant must have experience as a nursing assistant (CNA) for 6 months; no outstanding complaints or restrictions on CNA certification. Applicant must submit fingerprints: According to A.R.S. § 32-1606(B) (16), each applicant for initial licensure or certification is required to submit a full set of fingerprints. A fingerprint card will be mailed to you after we receive your application. It is important for you to use that specific fingerprint card because we have Arizona State Board of Nursing information printed on the card. It can take 3 to 4 weeks to receive fingerprint results from the FBI. You will not be certified until FBI results are received. A copy of a fingerprint clearance card cannot be substituted for this requirement. Applicants must pass a criminal background check with no felony convictions: According to A.R.S. § 321606(B), an applicant for medication certification is not eligible for certification if the applicant has any felony convictions and has not received an absolute discharge from the sentences for all felony convictions. The absolute discharge from the sentence for all felony conviction(s) must be received 5 or more years before submitting this application. If you cannot prove that the absolute discharge date is 5 or more years, the Board will notify you that you do not meet the requirements for certification. A total of 153 clock hours which includes 65 lecture, 23 lab, and 65 Externship hours. Students are not allowed to miss a training class. Students must report immediately to the instructor if he/she is going to be late. Student is responsible to make up for those missed hours. If a student misses class then he/she will be automatically withdrawn from the program. This policy only applies to the Medication Assistant Program. A total of 100 clock hours which includes 39 lecture, 6 exam, 15 lab, and 40 internship. Students study the medication assistant roles in Arizona including allowable acts, condition, and restrictions. Students learn the principles, terminology, laws, and drug references as they apply to administration of medications. Students study the principles of medication action such as the processes of drug absorption, distribution, metabolism, and excretion and resident education/care that supports the effects of drugs. Students study the principles of medication administration and nursing care considerations when administering medications to clients of all ages. Students learn to calculate medication dosages. Students practice hands on in calculations. Students study measures to promote safe medication administration in health care facilities. Students learn medication properties, uses, adverse effects, administration of, education, and nursing assistant care of residents receiving the following types of medications. Students learn the types of infections, immunity and persons at risk for infections as well as the different major categories of antibiotics and the nursing assistant care. Students study the structure function of the eye and medication administration considerations when administering eye medications. Students study the recall structure and function of integumentary system such as skin disorders, major categories of topical medications. Students study the recall structure and function of cardiovascular system such as the symptoms and characteristics of cardiovascular disorders. Students study the structure and function of the respiratory system such as symptoms of respiratory distress and common diseases of the respiratory tract. Students study the structure and function of the digestive system such as symptoms of digestive disorders and characteristics of common disorders of the digestive tract. Students study the structure and function of urinary system and identifies signs and symptoms of common disorders of the urinary system and imbalances of body fluids, electrolytes and acid-base. Students learn the structure and functions of the endocrine glands as well as the signs, symptoms, and nursing care associated with endocrine disorders. Students study the structure and function of the musculoskeletal system as well as the signs and symptoms, drug treatment and associated nursing assistant principals for physical injuries, osteoporosis, rheumatoid arthritis disorders. Students learn the signs and symptoms of major mental disorders such as depression, psychosis, anxiety, bi-polar disorders. One to one instructor observed medication preparation and administration until the instructor determines that the student is safe to progress, starting with a minimum of 5 residents progressing to 10 residents over a period of 3 days for 4 hours per day (12 hours). Instructor will observe, evaluate, and record student performance for each resident medication pass. Student will perform 30 medication administrations without coaching or missing medication critical elements to progress. One to three instructor to student ratio for a minimum of 12 hours. The student may administer medications to 10-15 residents. Instructor will observe, evaluate, and document the student's performance for each resident that is given medication. Instructor will schedule rounds to perform 30 medication administrations without guidance or missing important elements to progress. A licensed nurse (RN or LPN) will check all medications for correct drug, time and dosage before administration and review all medication documentation. Upon successful completion of the above, the student may progress to medication passes under the general supervision of the instructor for a minimum of 16 hours to the number of residents determined by the facility to consist of a normal assignment for a medication assistant. The instructor (RN) to student ratio will be no greater than 1:5. Instructor will observe, evaluate, and record performance also on 1:5 ratio. Students will perform 15 documented medication administrations without missing critical elements or coaching to progress. A licensed nurse (RN or LPN) will check all medications before administration for correct drug, time and dosage and review all medication documentation.